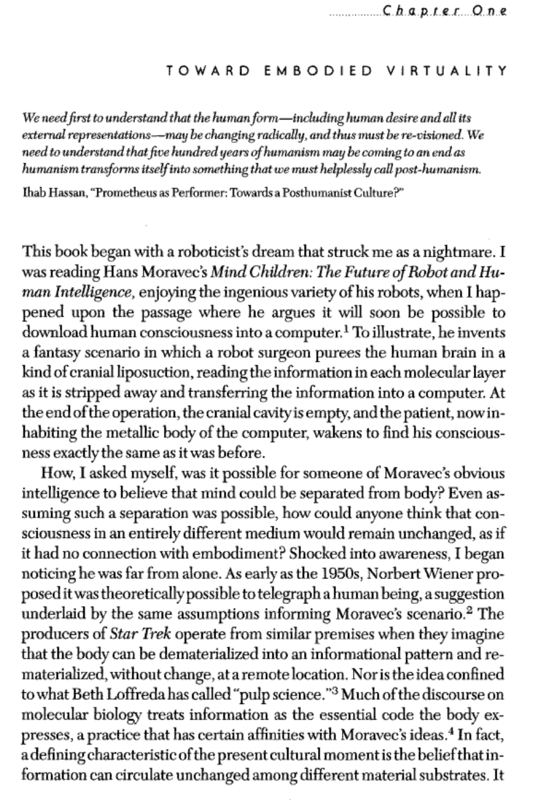 Hayles, N 1999, How We Became Posthuman : Virtual Bodies In Cybernetics, Literature, And Informatics / N. Katherine Hayles, n.p. : Chicago, Ill. : University of Chicago Press, 1999. 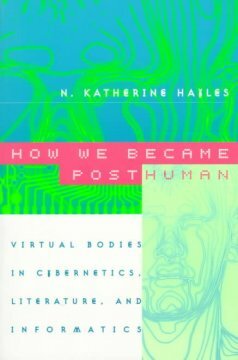 Hayles, N 1999, How We Became Posthuman : Virtual Bodies In Cybernetics, Literature, And Informatics / N. Katherine Hayles, n.p. : Chicago, Ill. : University of Chicago Press, 1999., DEAKIN UNIV LIBRARY’s Catalog, EBSCOhost, viewed 29 September 2013. Katherine Hayles, NN 2010, ‘How We Became Posthuman: Ten Years On An Interview with N. Katherine Hayles1’, Paragraph, 33, 3, pp. 318-330, Humanities International Complete, EBSCOhost, viewed 29 September 2013.